Every teacher knows that certain tasks like grading, lesson planning, copying, and communicating with parents can be time-consuming challenges. 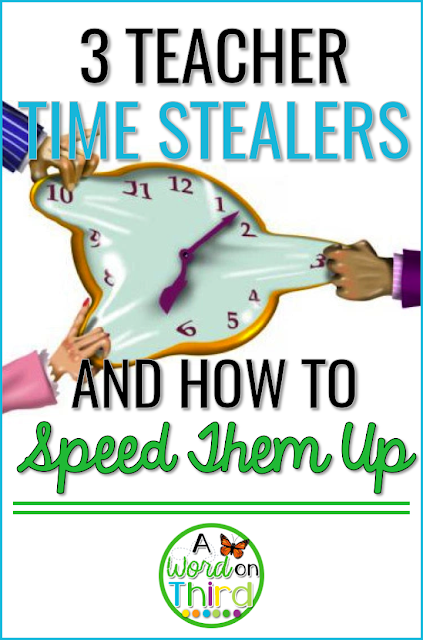 Streamline your regular teaching tasks with these time-efficient tips! These 2 tips will help you grade less--or not at all--and still let you know your students' progress. Teach your kids to be reflective learners by implementing a grading station. I ran across this simple productivity tip from Angela Watson, and I love it! Let's say your students complete some word problems. Simply create an answer key, make a few copies, and put them in a dedicated grading station area. Mine is just popped up on my easel with a magnet, but you might use a storage bin too. All you need to do is teach your kids the routines for using it. My kids know that they need to use marker rather than pencil so I can see the difference between what they knew and what they didn't know. After students grade their papers, have them hand them in. I like this strategy for two reasons. First of all, it gives kids immediate feedback about how they are performing. Second of all, other than the obvious reason that it gives me less to grade, it helps to create a culture where learning is more important than being right or getting a certain grade. When you trust students with this, they see that. In my classroom, kids write how their thinking has changed (again, in marker) once they see correct answers on the answer key. If they can't explain it, I still know who needs reteaching. I couldn't love this more. I recommend keeping an eye on the grading station for the few kids who might need support with using it well--especially at the beginning! 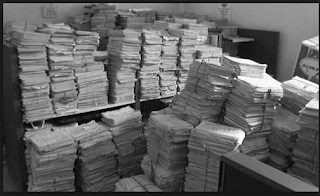 An actual, real photograph of the completely unexaggerated amount of actual papers I used to grade each week. Another tip from Sheila Jane that I love is just grading less. Let's say a math worksheet has 10 problems. Can you grade only 3 or 5? Sheila suggests that students highlight or circle a few problems at the end of a work period and then immediately turn it in. By not telling students which problems will be graded ahead of time, you prevent kids from only working hard on the problems they know will be checked. You get to decide which problems to pick. I usually pick one of each problem type. Additionally, I look closer at the worksheets when one of the selected problems is wrong. I'll also look at students I'm concerned about too, but it's nice to not worry about looking over every problem on every sheet! If this gives you a panic attack, try just grading the evens or odds first. Every week, I send home a ONE PAGE newsletter describing what we do in class. One means it's faster for me to create and increases the likelihood that parents will have a chance read it. Even parents who want to read your pages and pages of updates might not get a chance to read them. 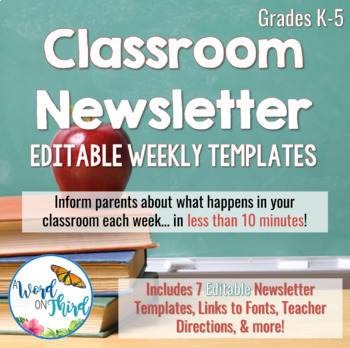 My newsletter includes important upcoming dates and reminders, a picture of something from the classroom that happened that week (either finished work or students in action), and a student-generated bulleted list of what we've been doing each week. We call this section the "Ask me about" section, so families should ask their student about what's on the newsletter. For example, one bullet on the list might say something like, "Ask me about how readers use text evidence and character observations to make predictions." You're showing parents exactly what kids have been taught, but you're encouraging meaningful conversations about school. Because the students generate the ideas, they are more willing to discuss those things too. This has been a game changer for me. I do this in about 5 minutes each week now instead of agonizing over what to write/email home. It really strengthens your relationships with your students' families. You can make your own newsletter, or you can snag mine for less than 2 bucks so you don't have to. My templates can be used each week, and there's 7 for you to choose from. Click here to check it out or click on the picture below. Chunk the tasks you know you have to do each week. This one is super simple but super effective. Got copies to do? Do it all at once. I like putting copies I need in file folders marked with each day of the week, and on Fridays I make all my copies at once and then put them away for the upcoming week. I have a 5 drawer storage system--one for each day of the week--that saves my sanity. PS- If you go on Friday afternoons (or even Thursday afternoons), you probably won't have to deal with a line!! Plan all of your reading lessons at one time so you get into the flow. Prep all of your math games at one time. Write all of your emails at one time (perhaps each day). I let mine wait until the end of the day every day, but I check once in the morning to make sure nobody has a change in dismissal. Chunking like tasks with like tasks will make you a very happy teacher! What have you streamlined to save time? Is there a tip you really want to try? Please write a comment below to share your thoughts with me!